Final day of the conference. My day actually started at 3am. One of the giveaways at the show was a bouncy rubber ball that emits shrill sounds while bouncing. Sadly, this specimen decided to start chirping at that odd hour. I was startled awake and it took me several minutes to locate the source of the noise. This thing has no 'off' button. I thought about hurling it out of my window, but 21st floor rooms' windows cannot be opened (although it does bring to mind an interesting question in physics: if you drop a bouncy ball from the 21st floor, how high does it jump back? ). Finally, I resorted to throwing it to a trashcan outside my room. I attended 2 lectures today: one on RESTful web services (how to switch from SOAP and other heavy web services protocols to REST), and the other on extending Visual Studio. Download (or develop and upload) extensions from the Visual Studio Gallery. Build scripts and automation into VS, using DTE. Distribute applications that look like the VS UI, using VS Shell. 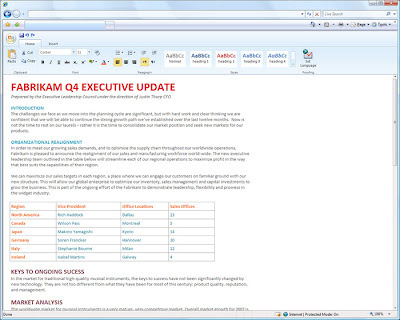 The Start Page can be configured and reprogrammed. Extensions can be developed and distributed by just copying assemblies around. You can even manipulate the way VS shows code, or comments - the sky's the limit. Finally, I took a hands-on lab on WebSlices, a new IE8 feature. I liked it so much that I'm now at work on incorporating it into my blog (stay tuned). I actually got to the airport ahead of schedule and managed to catch an earlier flight home. I just received an email from Microsoft informing me that all lectures and material have been uploaded to MicrosoftPDC.com - go check them out. I was also invited to next year's PDC (November 17th '09 - mark your calendars). Many people were blogging and twittering from the show. Some just typing, others snapping pictures or filming. All in all, I assume many people around the world got the news in near real-time. The internet is amazing. There were far less presenters this year (did I hear someone in the crowd say "recession"?). I couldn't understand the business models of some of the presenters - why put so much money in designing UI controls that Microsoft provides for free? Over the last 2 years, in Tech-Ed and in online education videos, developers and presenters used Windows XP and 2003 to demo. No more. This time ALL presenters used Vista (or 7) on their presentation machines. Guess Microsoft finally started forcing people to eat their own dog food (although one Microsoft developer I spoke to confessed that internally they are using proprietary bug tracking system and source control system, rather than using VSTS and SourceSafe, like they want us to). Another day at the PDC. 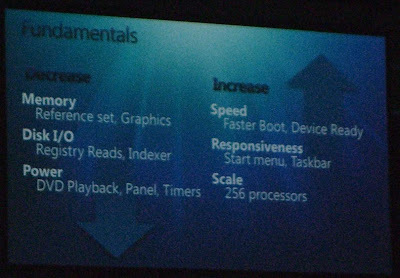 Today's keynote introduced some of the projects Microsoft Research Labs (read my review from awhile back). Some, like a new generation of Surface computer that can read hand gestures made above the table, and can project content on other surfaces - look nice, but not really practical yet. Others, like Mesh and Worldwide Telescope look more useful. I've attended some sessions and pariticpated in a couple of hands on labs. And then I got an hour to play on a Surface, by myself. Throughout the conference, there were several Surface machines. But they were always surounded by people. Some were playing the Scavenger Hunt game, others using musical instruments, or sharing photos. While I can't immediately see private applications for it (and the price point is still high for the private sector), I do see some uses in the commercial sector - as a planning tool, or as a fun tool (it's already used in some casinos). Oh yes, I actually got to see one crash. It runs Vista Business as its OS . I believe touch interaction is the future. Windows 7 supports it out of the box, and for $1500 you can now buy a HP TouchSmart computer that contains a touchscreen, with Windows 7 drivers. Those HPs were used throughout the show for demos and hands-on labs. In fact, this is one of those "adult moments" where I have to convince myself that although this looks cool, i don't really need it . 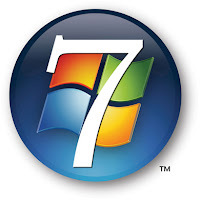 Today I finally got what I came here for: the official announcement of Windows 7. It was presented by Steven Sinofsky, senior VP at Microsoft. UI-wise, 7 looks like Vista, with some UI tweaks (I started writing them down, but found this post that does a nicer job, with pictures to boot - ah, cross-posting is fun ). Ability to create and mount a virtual disk from the operating system - and even boot from it! Touch features were less interesting to me - touch screens have been around for more than 10 years and other than some particular uses, they are not widespread. As for timeline, we got the pre-beta today (on a nice 160Gb WD hard disk - along with tons of downloads, demos and virtual images). 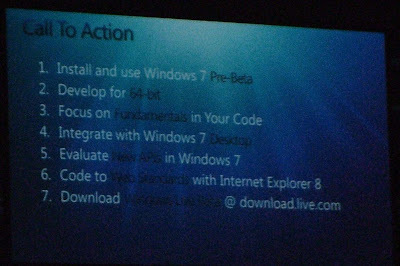 Beta 1 is coming at the beginning of 2009. RTM was not announced - this time Microsoft will work on ity until ready. Sinofsky mentioned the bad rep that Vista received, including in competing commercials (I assume he meant Apple's "I'm a Mac - I'm a PC") and while everyone laughed, he looked visibly hurt. He claimed Microsoft has learned from the critisism and will provide a better product in 7 as a result. He called to developers to start developing 64-bit code. I was disappointed to see they still have versions of the OS, similar to Vista ("Premium", "Ultimate" etc.). Still, I can't wait to get home and install it. We then got a taste of VS 2010 and .Net 4.0. Many features, tying into Azure, WPF, Silverlight etc. The entire VStudio IDE is built in WPF and is therefore exstensible by the user (the demo showed how you can show comments as bubbles rather than text, and how a bug number in a comment turns to a link to the bug in the tracking system). We then got a whiff of the new Office Web Applications. I was blown away. using WPF and Silverlight, you can now get an exact replica of all Office apps in your browser. What's more, several people can work on the same document at the same time (from desktops or the web and the content gets updated in real time. Don Box than regaled the crowd with a quick smart session using the new .Net services to expose some of his computer's content to the web using Azure and other new techniques. I attended some interesting sessions today - some too technical to discuss. But one new feature in 7, called "Troubleshooting packages" is worth waiting for. Common problems can be solved automatically, using a series of scripted tasks. The demo showed how a movie played without the sound. The sound trobleshoot package was double-clicked, and the script started the audio service (which was turned off on purpose) and un-muted the speakers. This opens a lot of opportunities. The day ended with a major Halloween party at Universal Studios. The park was closed to the public. Smoke machines worked overtime (it was impossible to see in some sections) and tens of actors dressed as monster, zombies and clowns with saws (whare is that from?) harassed the people. I'm not into horror films, but it was fun. The surprise of the day came to me while listening to Ray Ozzie's keynote - the main thing Microsoft was announcing today is not Windows 7, Visual Studio 10, or even .Net 4. The "new big thing" from MS is "Windows Azure" - a new cloud web services platform (find a definition here). Welcome to Google and Amazon land, Microsoft. To differentiate themselves from the competitors offering (see Cloud vs. Cloud), MS is offering full .Net support for the new platform, including VStudio integration, SQL Services layer and other ways to tie you in. They promise a "reasonable price model" to be announce later (probably at 09). We immediately got to register and play with the new platform (registering and trying it is open to the public, but expect some delays - I've already seen it crash several times, due to traffic). It's nice, but nothing I haven't seen before. One of the demos they show is called Bluhoo - a mobile app utilizing bluetooth on mobile device to locate friends next to you and present them as likable creatures on the screen - now, how many of those have we seen in recent years, and how many survived? Don't people get the privacy ramifications of leaving my bluetooth open and discoverable at this day and age? In contrast, the demo of the application built for the Ethiopian Education Ministry, utilizing geo-location seamlessly, made a lot of sense. I've attended several "Cloud" sessions today. For some reason, they tended to be more demo than theory - which turned them into boring VStudio screencasts. Again, this was a bit of a letdown. The exhibitions expo this year is much smaller than Tech-Ed standards (did anyone say "recession"?) and was less fun to attend. My chief hope is that Day 2's keynote will start addressing the new platforms (at this stage, it looks like it will - Microsoft just started releasing Windows 7 videos on their site). In the meantime, I found the ideal way to blog about a conference: I use twitter to post from my Blackberry (using TwittwrBerry) as things happen. I then go over my twitter stream later, collect my thoughts into a coherent article, and post to the blog. If you look at the lower left side of the screen, you can see my twitter posts. Follow me on twitter to get them in real time. This week I'm in LA for the Microsoft Professional Developers Conference. Unlike Tech-Ed, the annual conference, PDC is held only in years when Microsoft has significant announcements to make. This year they will be announcing Windows 7, .Net FW 4, Visual Studio 10 and several cloud-computing related technologies. The conference officially starts on Monday, with a keynote by Ray Ozzie - Microsoft's chief software architect - but several pre-sessions were held today. My colleague and I took the chance to participate in a Microsoft QA lab, allowing you to install your exisiting software on an alpha release of Windows 7. It was an interesting experience. While our software outright failed to run on both 32 and 64 bit versions of W7, we did collect valuable information that will allow our engineers to address the situation. UI-wise, the releases of W7 we've used look just like Vista, with some tiny GUI changes here and there. The kernel has changed, but not much more - from what we could see. Still, it's an early build and I hope that later builds will utilize some of the new features promised (like touchscreen support and better performance). I'll attempt to report at least once a day on news as they come in. Hopefully not at 3am again (blame that on my jet lag from the UK trip I took last week). Is this Site Down, or is it Just Me? If you've ever browsed to a web site and got an HTTP error, you're familiar with the question: "is this site down for everyone, or is it just me?". In a world of firewalls, proxies and workplace filters, one site dares to answer this question: downforeveryoneorjustme.com. Simply type in the site you want to visit and downfor... will tell you if it's really down, or is your firewall acting up again. Very useful. Your resume came to me through one of our partners and we would like to set an appointment to meet with you. At Advantage Associates California, we help build relationships to assist senior executives and managers find the best jobs in the San Jose area. We steward our clients careers, maximizing their earning potential and job satisfaction. We provide unique tools and technology that assist our clients in identifying and pursuing the best career opportunities. If you are interested in learning more, please reply to sanjose@execcareerhunt.com and attach the most current version of your resume and we will call you to set a time to meet. If you would like to be removed from receiving any more emails, please reply back with unsubscribe in the subject line. Who are they and where did they get my personal address? Why would anyone serious sign with just his first name? Why is the company called "Advantage Associates California", yet the address says "execcareerhunt.com"? Why does the last line offer the opportunity to "unsubscribe" - like any other spam email? Finally, the domain execcareerhunt.com does not return any HTML page. A very short Google search later, I found this great post in the Geeks-R-Us blog, detailing all you need to know about these scammers. The amount of comments show many other people received this email or fell for it. One of the comments actually explains how to reseach these scam domains safely, using Telnet instead of your browser. Bottom line: Beware unsolicited email (and Nigerian dignitaries who would like to share their ill-gained profits with you ). Important note: while GMail didn't flag this email as spam, Windows Live Mail did. Good job Microsoft. This week I'm in Halifax, UK, visiting a customer. Just landed not long ago, still jetlagged and shivering from the weather change. Being in Yorkshire, the people here speak with a heavy accent. So heavy in fact, that I sometimes can't understand a word. Some of my conversations so far were hilarious (to me, at least ). I either got the gist of things, or just replied with a noncommittal "yes" or "no" at my end of the conversation. I couldn't even pronounce the address I was looking for (try it: "Dean Clough"). Which was my cab driver's way of telling me that his youngest son is a fan of Manchester United, while he favors Liverpool (UK Premiere League football teams), leading to some arguments around their dinner table. I've recently returned from Montreal, where I spent Rosh Hashana, the Jewish New Year’s, with my cousin. Holiday in Montreal was uneventful. Great weather, good food etc. One day we went for a sandwich at a place called “Dreams” (great food, btw). When the waiter asked me what I wanted to drink, I’ve answered “ice tea”, to which he replied “we don’t use this language here!” and left. I sat there with a baffled face, until my cousin explained that the word “esti” is used as an expletive in Quebec. It generally means a flat bread served in church, but used like the word “Damn!”. (I later verified that in the Urban Dictionary). Well, the waiter was just joking and I did get my ice tea in the end - and learned a new word. The Caltrain takes about an hour to get to SFO, due to all the stops. You don’t actually get to SFO with the Caltrain. You disembark at Millbrae, where you take the BART to San Bruno, where you change to the BART line to SFO, where you take the AirTrain to your terminal… All in all, 4 train changes. Why couldn’t they make the train go directly to the airport? Or at least put the San Bruno BART station at the Caltrain terminal, and save one hop? Despite the fact that everyone who goes to the airport, from both directions, takes the same route, no one at Caltrain and BART is smart enough to sell one ticket to the airport. Nope – you’ll purchase a Caltrain ticket ($4) at a certain kiosk; disembark at Millbrae and purchase a BART ticket ($1.5) at another machine. This machine has a horrible HORRIBLE user interface. Good luck navigating it - even I needed assistance. To buy a $1.5 ticket, you must insert no more than $5 (if you insert $10, the machine returns no more than $5 change) and then dial the price down to 1.50 in 5 cents increments. Joy! Schedules – why aren’t the Caltrain and the BART synchronized? You wait 10-20 minutes from one to the other, despite the fact everyone who disembarks at Millbrae is definitely going to the airport. Again, massive stupidity on the organizers side. Bottom line: Caltrain is a cheap option, if you’ve got the time to play the train game. If you have a lot of luggage, or traveling with someone, skip this and take a taxi. While in Israel, I purchased a couple of games for my Xbox 360 on eBay. Wait a couple of months, and get that $60 game for $20 including shipping. 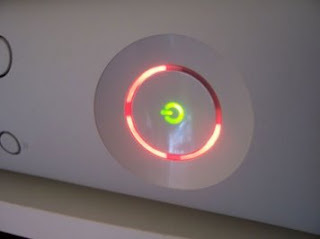 But when I got home, I had an unpleasant surprise: I turned my Xbox on and got the dreaded “Red Ring of Death”. RRoD is the codename for a general hardware failure, signaled by 3 flashing red rings on the front of the console. You might say it’s like a bluescreen on a PC (or a frozen rainbow cursor on a Mac), only worse: restarting the console doesn’t help. RRoDs are common in early Xboxes, due to shoddy components and QA procedures used by Microsoft, the Xbox overheats, sometime frying some of those cheap components. Microsoft has since improved the quality of the product, but many of the older system are still failing. Since my machine is at least 2 years old, I wasn’t that surprised – just disappointed. My warranty has run out, but I called the Xbox support line anyway (1-800-MYXBOX) and was delighted to find out that MS took responsibility and retroactively extended the warranty for Xboxes suffering from RRoD. So, I sent my console to their support center (they pay for the shipment and the box) and have just received a different (new or refurbished, I can’t tell – but it’s not my original) console, an apology letter and a free Xbox Live month. So now I’m happily fragging terrorists in Rainbow Six Vegas 2.